Timing will be MAT to MAT (start line to finish line). 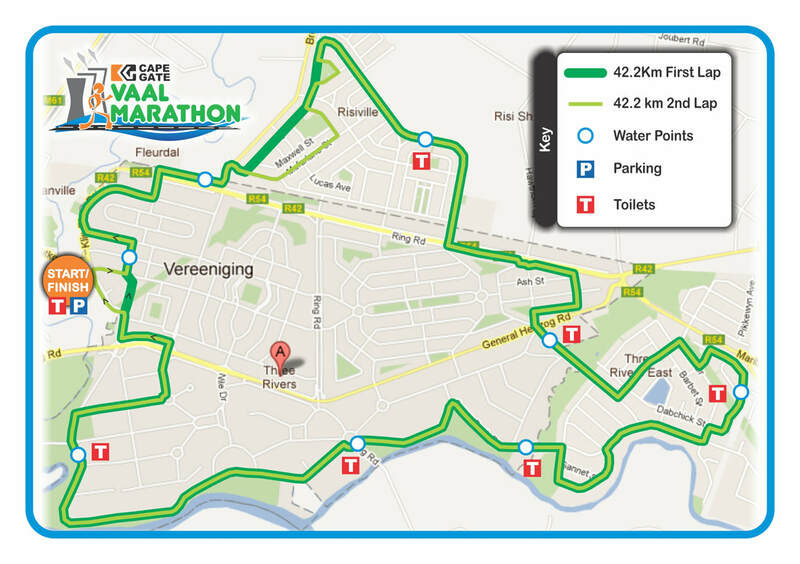 There will be a 10 min start window for the 42.2km & 21.1km runners. Additional timing mats will be placed on the course to verify times. 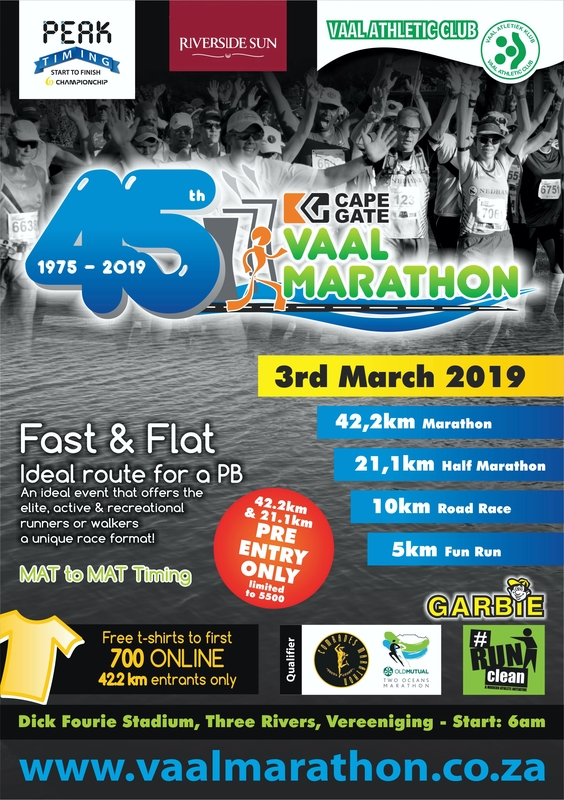 Participants must cross ALL mats (start line, on route & finish line) to record official times, failure to do so could result in no official record / result or disqualification. Start window for the 42.2km & 21.1km will be from 6:00am - 6:10am. 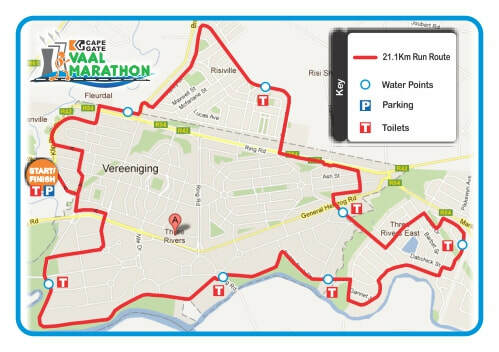 ​Marathon runners will not be permitted to start second lap of 42.2 km distance after 08h45. ​(1 x room for 2 adults and 2 children under 18) on a bed and breakfast basis. Prize winners must attend prize giving or else forfeit their prize. Prize winners must run with timing chip. Prize money for first AVT male and female finisher not applicable to temp licenses. The race distances for the 3 main distances have been measured, certified and approved by the IAAF. Measurement Report reflecting the 2018/2019 modified finish adjustment available on request. Free t-shirts to first 700 ONLINE 42.2 km entrants only​. Medals to all finishers of the 42.2km 21.1km, 10km and 5km races. 6500 medals on the day. Click to enlarge or print. Wheelchair athletes are welcome in all events but must comply with all the rules. The use of a suitable helmet is compulsory. Please be aware of pot holes along route. Only 1 pavement to mount. Blind runners welcome, enter on the day directly with the organizers. 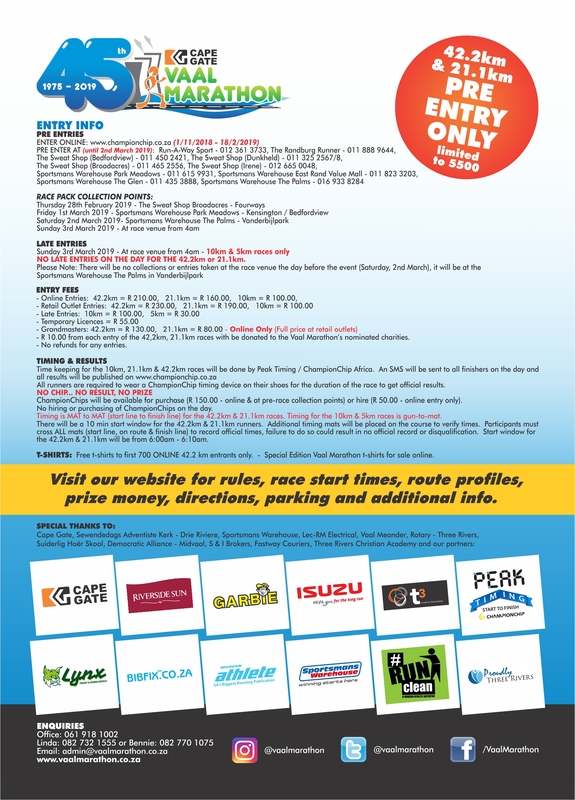 Walkers welcome in the 5km, 10km and 21.1km races. CAR GUARDS WILL BE IN ATTENDANCE - PLEASE ACKNOWLEDGE THEIR SERVICES. RACE ORGANIZERS AND SPONSORS DO NOT ACCEPT LIABILITY FOR ANY DAMAGE OR LOSSES INCURRED ON THE DAY. No refunds on entry fees paid. Disclaimer: All the information listed on this site should be used as a guide, and could change at any time without warning.